12 Months Annual Access to Zinger Sign Studio. No Contracts. No Long Term Commitments. Cancel at Anytime! Selecting this option, you will continue to be bill annually until canceled. 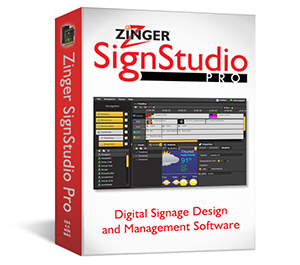 After checkout you will receive an email with a link to download Zinger Sign Studio. For Additional Information on Zinger Sign Studio Click Here! Recurring Charge of $195.00 Annually, Until Canceled.